There is no Solgar Alternative. 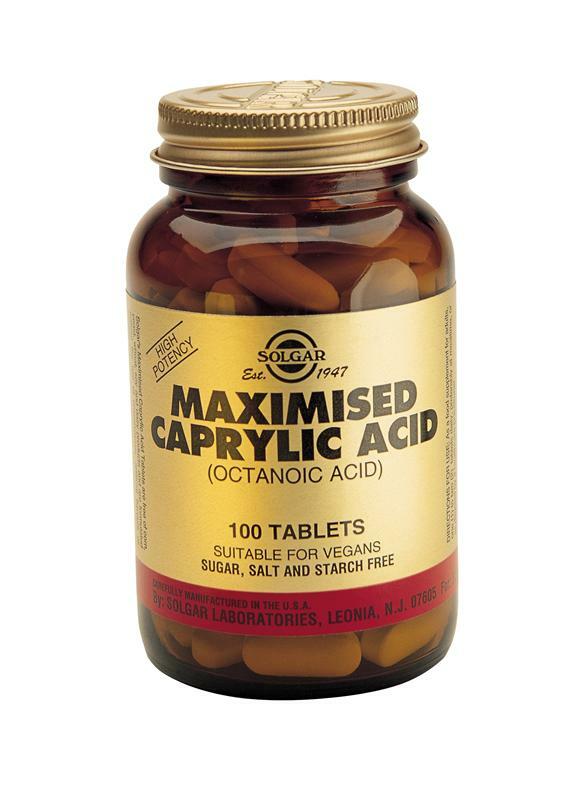 Solgar's Maximised Caprylic Acid Tablets provide an advanced, high potency source of caprylic acid in a special calcium/magnesium/potassium/zinc matrix. Solgar's manufacturing process provides for the optimum absorption of Caprylic Acid in the digestive tract. Calcium and magnesium caprylate favour the growth of the lactic acid bacteria in the gastrointestinal tract and is best taken in conjunction with a low yeast and low sugar diet. Tableted with these natural ingredients: microcrystalline cellulose, hydroxypropyl cellulose, cellulose gum, silicon dioxide, magnesium stearate, hydroxypropylmethyl cellulose, vegetable glycerin.